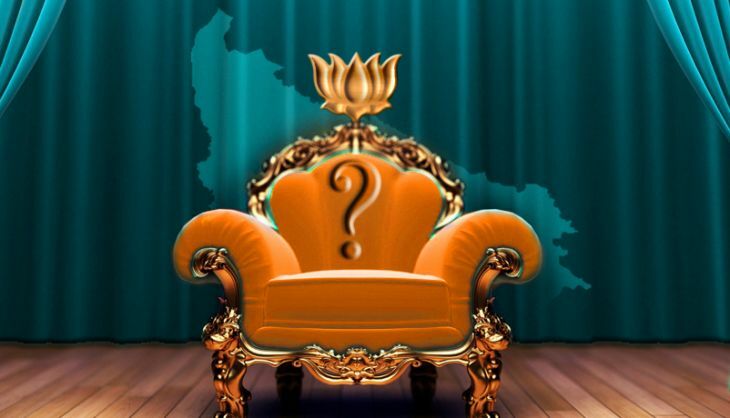 Home » Politics » State BJP wants a CM nominee for #UP2017. Will Modi, Amit Shah oblige? Since 2014, the BJP has fought every election without a chief ministerial candidate, save Delhi where Kiran Bedi was parachuted in at the eleventh hour. Narendra Modi's image, the thinking in the party went, was enough to get votes. It did too, in Maharashtra, Jharkhand and Haryana. Then came Bihar, and the strategy came a cropper. Indeed, not projecting a local leader was widely suggested, including within the party, as one of the key reasons for the BJP's defeat. Unsurprisingly, a section of the party is asking for a rethink on the approach, especially for the crucial Uttar Pradesh election in 2017. Some partymen find it ironic that the BJP abandoned this approach in the first place. "The party declared Narendra Modi as its PM candidate months before the 2014 general election," said a party elder from UP who is currently holding a constitutional post. "And throughout the campaign, we kept attacking the Congress for not naming its PM candidate." "Yet, in the subsequent assembly elections, the party did not name any CM candidate," the leader told Catch. But going to elections with a chief ministerial nominee, especially in UP, is easier said than done. For it could easily result in factionalism. Who would be the candidate? How would his or her rivals react? A few days before the Bihar result, state BJP leaders gathered in Kanpur to draw up a strategy for the UP election. The leaders going to the meeting from Lucknow via NH25 were greeted by banners with pictures of Varun Gandhi and the slogan, "Varun lao, pradesh bachao" (Bring Varun Gandhi to save the state). But if one section of the state BJP wants Varun to be the nominee for chief minister, another is rooting for Rajnath Singh, the Union home minister who led the state between 2000 and 2002. "The party should project a chief ministerial candidate before going to polls in UP," veteran BJP leader Rajnath Singh Surya told Catch. "In my opinion, Rajnath Singh is the best the choice. He is comparatively young and has been chief minister before." Surya added, "The BJP cannot use Modi's name in every election." Some leaders also want a change in the party's state leadership. Laxmikant Bajpai's term as president ends shortly and many want a fresh face to replace him. In the contention are Swatantra Dev Singh and Kunwar Mahendra Singh, both Thakurs. ALSO READ: Is a BSP-Congress-RLD Grand Alliance emerging in UP? Bajpai, a Brahmin, is considered a protege of Rajnath. "Bajpai is a grassroots leader and has been very active during his term. But we must consider if he is a good choice to take on Akhilesh Yadav in 2017," a veteran BJP leader who did not want to be named told Catch. "We lost badly in Bihar by going in without a CM candidate. So, we need a dynamic president who can also be projected as the CM candidate." Several other state BJP leaders believe that the demand for projecting a CM candidate is likely to get louder now. The question is, will Modi and Amit Shah listen? First high-profile abduction after Bihar polls: Is jungle-raj back? Kejriwal's Swachh Delhi app more user-friendly than Modi's Swachh Bharat app?